Blogging has become second nature to many people, and they are reaping the rewards. 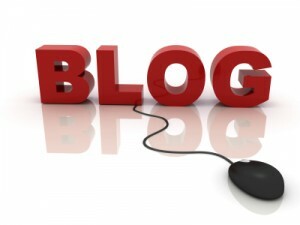 Business owners in any industry should learn how they could benefit from blogging. I have been blogging for the past 5+ years. You can check out all my ramblings about PPC here. How businesses can benefit from blogging is by reaching and remaining on the first page of search engines. For instance; a garden/landscaping business has started a website with their products and services but have very little web traffic. It is not because they do not have good products or services, it is because they are not appearing on the first or second page when potential customers are searching for products they carry. The best step management can take at this point is to begin posting regularly (or hire someone to do it) with information about the gardening and landscaping industry. Blogging is not meant to be blatant sales pitches; it is meant for informative, valuable content for the consumer. If each post is simply a picture of a product with a “the best there is” tag on it, website traffic will drop instead of rise. When the consumer sees something of value to them that they do not have to pay for (information in this case) they will tell their peers and share it on social networking sites. Businesses can benefit from blogging by giving consumers free advice and ideas on how to use their products. In the gardening industry there are millions of products available so content should not have to be repeated. A top business blogger can easily pick one item per day to write about. In staying with the gardening theme the items and tips should be related to the season. This type of approach will keep consumers returning to the site on a regular basis to learn something new. As time goes on, the blog subscriber may become a regular customer as well. Having used Google’s Website Optimizer for client’s before, I thought we would share our experience from this week when we decided to run some experiments for the li’l engine blog – running WordPress version 2.8.